In all the metalwork and archaeological oddments we have from the Anglo-Saxon period, is there anything one could call 'art'? The contributors to this book believe that not only was there considerable artistry in the output of early Anglo-Saxon workshops, but that it was vigorous, complex and technically challenging. The designs found on Anglo-Saxon artifacts is never mere ornament. In a society which used visual and verbal signals to demonstrate power, authority, status and ethnicity, no visual statement was ever empty of meaning. The aim of this work is to prompt a better understanding of Anglo-Saxon art and the society which produced it. 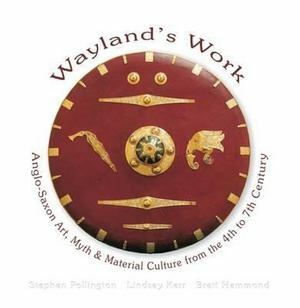 Stephen Pollington, Lindsay Kerr and Brett Hammond have assembled in these pages much information and many previously unpublished illustrations which show a wide variety of artifacts, designs and motifs. It is hoped that this will help bring about a wider knowledge and appreciation of Anglo-Saxon art.